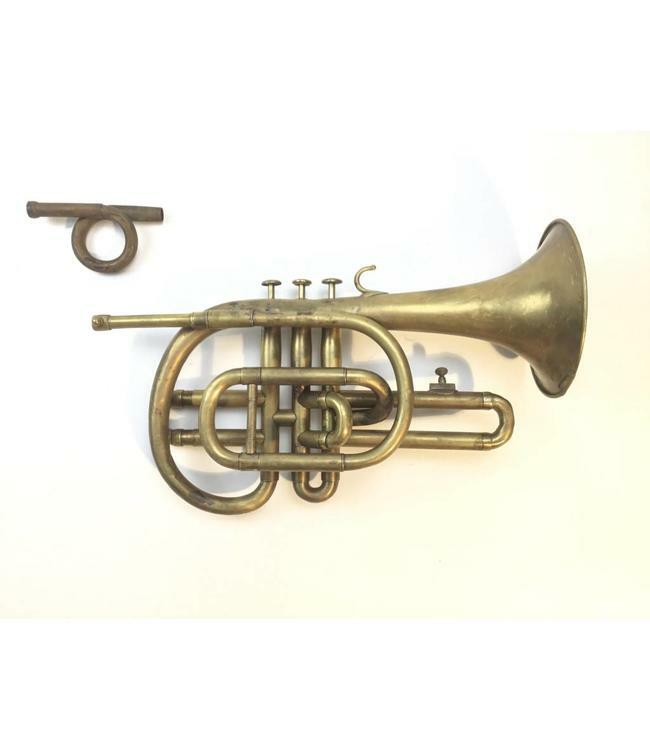 Used LeComte Bb/A Cornopean in raw brass. This cornopean is in overall fair to poor condition with repair evidence throughout, and extensive bell repair, including a cracked bell bead and bell patch. Comes with Bb and A tuning bits. No case.